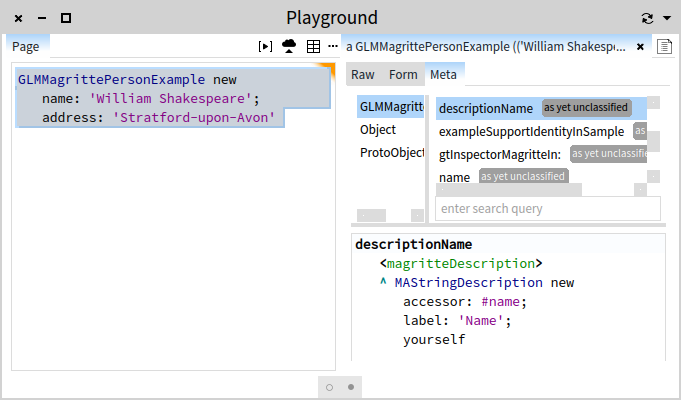 Magritte is a meta-engine that can be instantiated for any Pharo object. One of its applications is that of generating forms out of the meta-descriptions to enable the user to manipulate the values of an object. These forms can be rendered in multiple ways, such as a web form. 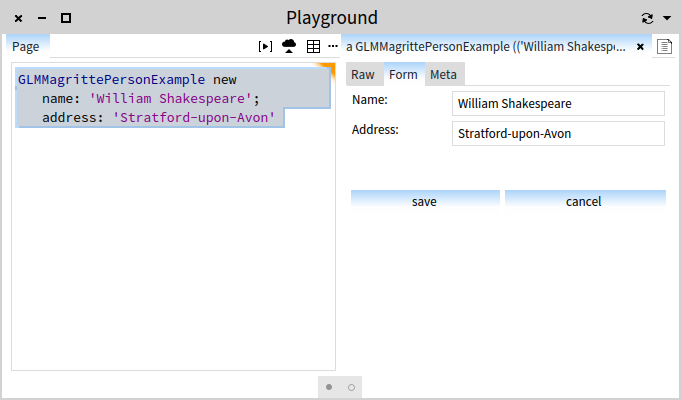 Given that the engine also offers a backend for rendering morphs directly in the Pharo image, this can be leveraged to be integrated as well in the GTInspector. That’s it. 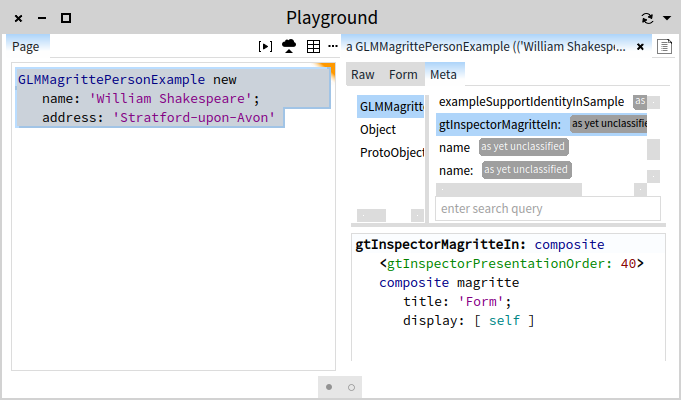 Once you have Magritte annotations, you can directly use them to provide form manipulation directly in the inspector, or for that matter, in any other Glamour browser.